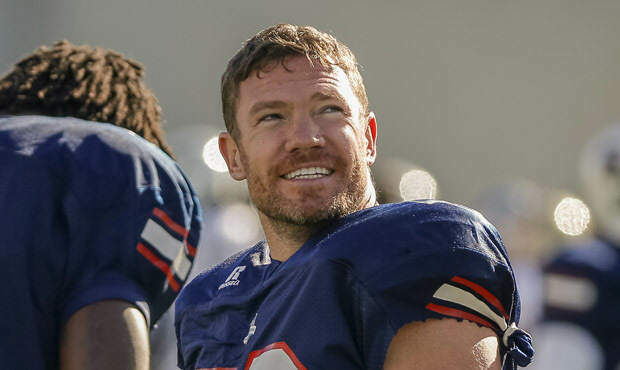 Nate Boyer has never been one to let tall odds deter him from tackling challenges. Despite encountering many rejections because he lacked a college degree, he managed to talk his way into a United Nations refugee camp in the Darfur region of Sudan so that he could volunteer there. Without ever having played organized football, he walked on at the University of Texas as a 25-year-old freshman, worked his way into the starting lineup as a long snapper and ultimately earned a scholarship. At age 34, after serving as a Green Beret in Afghanistan and Iraq, he pursued his dream of trying out for an NFL team, playing in several preseason games despite being too small and too slow. Now Boyer is preparing for his next uphill battle: climbing the 19,341-foot Mt. Kilimanjaro, Africa’s tallest free-standing mountain. His “Conquering Kili” mission has two objectives: raise money for Waterboys, a nonprofit group in which NFL players work to drill drinking water wells in East Africa, and heighten awareness of the struggles military veterans face adjusting to civilian life back home after their service. Boyer plans to make the climb over five to six days in February with his friend Blake Watson, a former Marine who lost his leg in an IED explosion in Afghanistan. He is trying to raise $1 million in pledges for the climb, enough money to drill 22 wells. The number 22 holds special meaning for the veteran: it’s also the number of veterans who die from suicide each day. 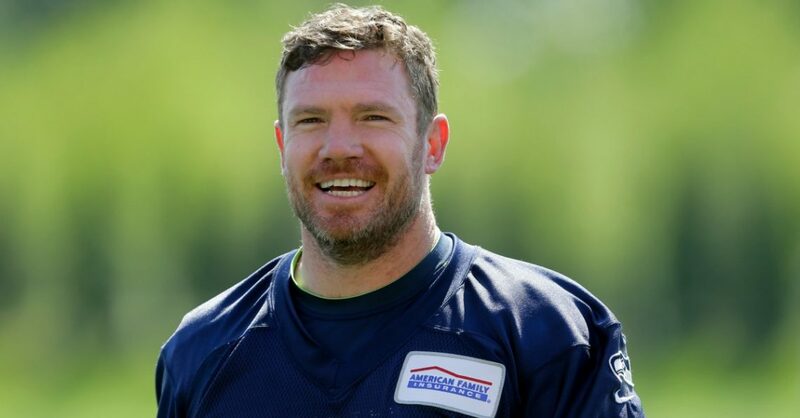 Boyer had just been released by the Seattle Seahawks in August when Chris Long, a defensive end with the St. Louis Rams, asked him to join the Waterboys effort to drill wells in Tanzania, the home of Kilimanjaro. Boyer, looking for a way to continue serving the Third World, a prime motivation for his joining the military, quickly agreed to help. As he was working out on a stair stepper, he noticed one of the options on the machine was “Kilimanjaro.” Boyer took that as a sign of fate and suddenly realized he would climb the legendary mountain while in Tanzania with the Waterboys. Long founded Waterboys, which has a fund-raising captain on each of the 32 NFL teams, after climbing Kilimanjaro in 2013. From the mountain, he was captivated by Tanzania’s beauty, but also deeply impacted by the level of poverty and suffering he saw among its people because of a lack of clean drinking water. Nearly half of the country’s population lack access to clean water. “Seeing it for myself, the women and children walking miles to collect dirty water riddled with disease, I couldn’t walk away without doing something,” Long said in a Waterboys promotional video. Waterboys’ slogan, found on t-shirts they sell on their website, is “Dig Deep.” For Boyer, the group was a natural fit. It’s not the first time he’s felt called to serve others who are less fortunate. After graduating from high school in 2004, the northern California native, inspired by Time magazine photos of people suffering from drought and war in Sudan, talked his way onto a United Nations relief trip and volunteered in a Darfur refugee camp. He is now just as eager to help 10,000 people in Tanzania obtain clean drinking water. But first, he’ll conquer Kilimanjaro with Watson, hoping to inspire his fellow veterans back home who struggle with Post Traumatic Stress Disorder. “We’re going to climb the mountain and it is going to be a great challenge, and will be amazing to us, but this is kind of a way for us to continue service,” Boyer told Army Times. He said he thinks one of the main reasons so many veterans die from suicide is because they lack a sense of purpose. Watson, who has been in a wheelchair for the past five years and hasn’t been upright on his leg for more than three consecutive weeks, has been training hard at Adaptive Training Foundation, a Dallas-based gym that former NFL linebacker David Vobora founded for adaptive athletes. After suffering his injury and returning home, Watson became addicted to opium pain medication during rehab. Training for kili has given him a new sense of purpose.